Valentine’s Day is just around the corner. Make sure you surprise your loved one with more than just a gift. Get him/her something that constantly reminds them of you even when you might not be together. Since you would be busy in making other preparations for your special day, we’ll help you out a little by compiling a little list of Valentine’s Day gift ideas of our own, especially if your partner loves to travel. Read on and check out this unique and impressive selection of gifts. These handpicked items are sure to please your travel loving valentine. 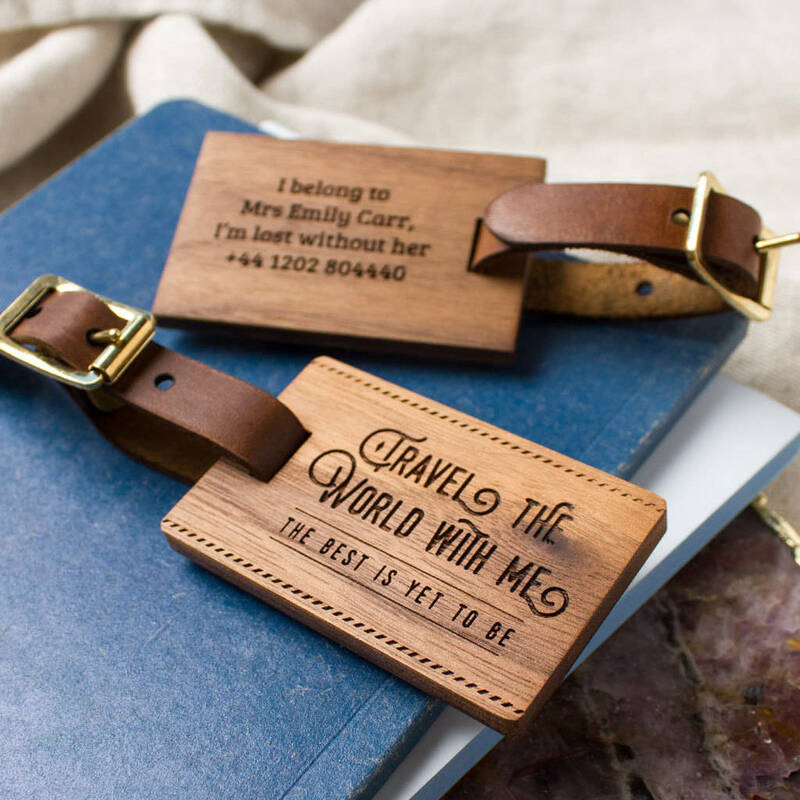 The walnut and wood luggage leather tag with customized message is the perfect accessory for your travel tales. The stunning tag which is trending this season is a reminder of how special this person is. Its durability and promise in the form of the customized message, makes it an exceptional gift. Engraved with motifs, the message can read ‘Travel the world with me, the best is yet to be’ or ‘And so the adventure begins’. The book that compiles the best 100 hotels, guest houses and bed and breakfasts across the globe is sure to be among the best gift options this valentine. This little list acts as the bucket list for your travels in addition to being a silent promise of embarking on these travels together. 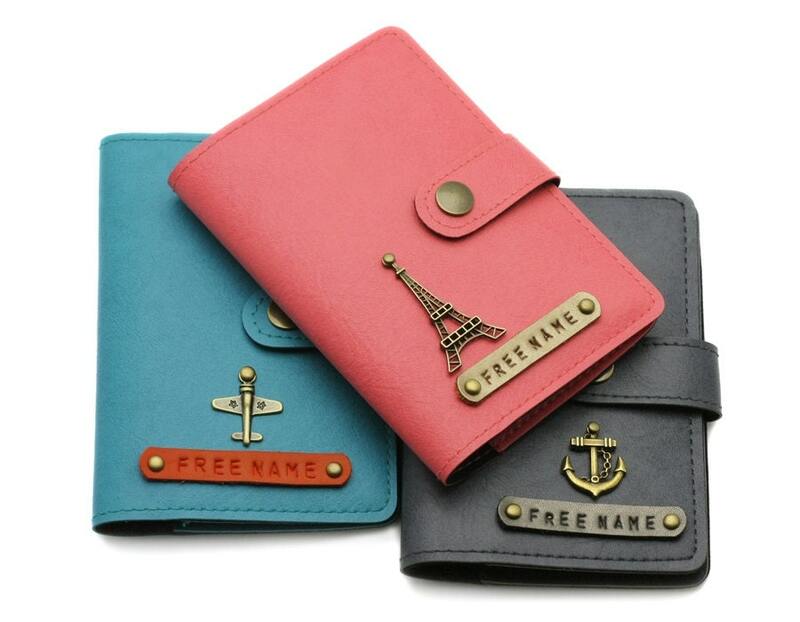 You can get customized passport cases in leather for you and your loved one. There are passport covers with world map and the quotation of ‘To a lifetime of adventure together’. These subtle reminders with your names are sure to make you feel loved as you travel to unknown lands. Nothing beats the perfection of the couple tees, on an adventure of life. 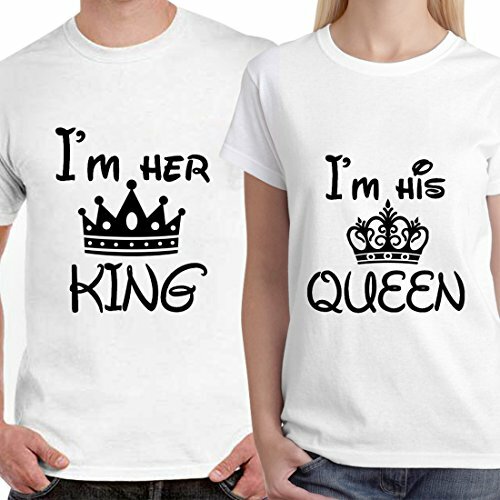 When it comes to travel these travel tees are exceptional in conveying your truest love for travel as a couple. Such tees and travels are goals, right on point. If your love for coffee goes hand in hand with your love of travel, this has to be your pick this Valentine’s Day. These impeccable travel mugs from Starbucks allow you to add customized pictures on your tumbler. So as you venture on your next adventure, sip your favorite drink and as you do, you’ll be reminded of the exceptional experiences you have collected together in your trips. 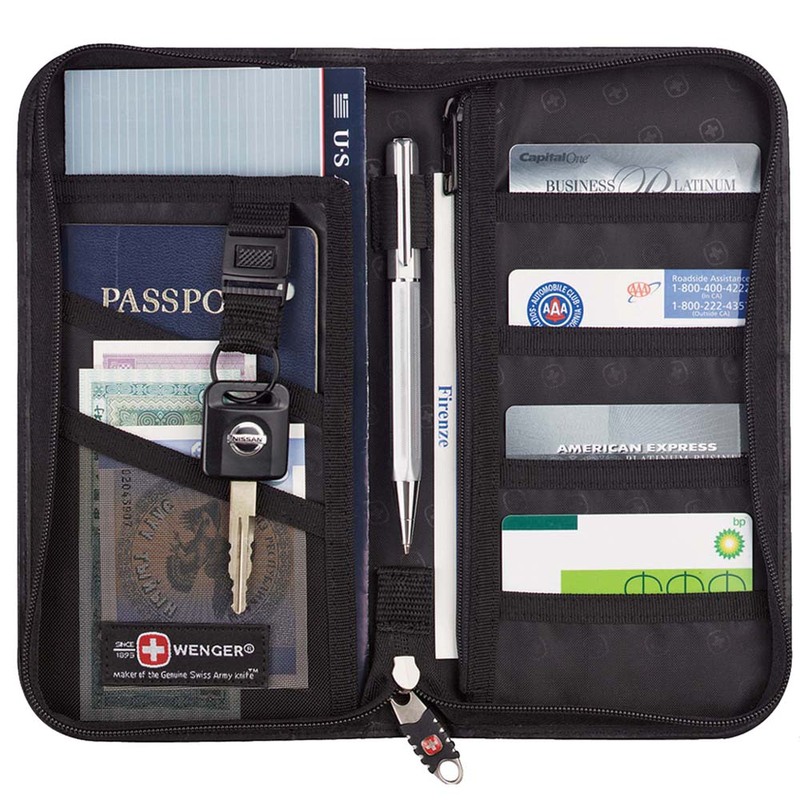 For the tough men out there who love and swear by travel, there could be no better gift than this travel organizer. This little thing is sure to take care of all his essentials in an organized manner, as you both venture on your next adventure. The rollout design of the pouch is comfortable to carry and has pouches allocated for everything. Bring this beauty to him this valentine’s and watch the happiness sparkle his eyes. If your man loves to travel, he will love this gift too. Ideal for adventure trips, business trips and leisure trips, this organized and stylish wallet will sweep him right off his feet with its finesse and its finish. Coming from the house of Wenger, this wallet has been crafted in Switzerland. Make sure your man never loses his charm, no matter which, travel choice he chooses to pursue. A miniature pocket perfume can be comfortably carried around without any discomfort or extra space, making it suitable for his travelling experiences. 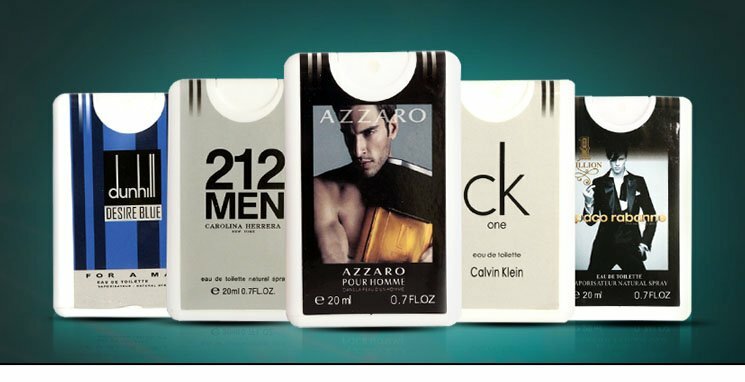 Get him the best of both worlds when you gift this perfume to him, this Valentine ’s Day. Make sure you are in your bae’s thoughts even during his travels by buying him the spectacular, anti-theft backpack. He might be away from you when he travels, but he is sure to keep this thing with him throughout the trip. 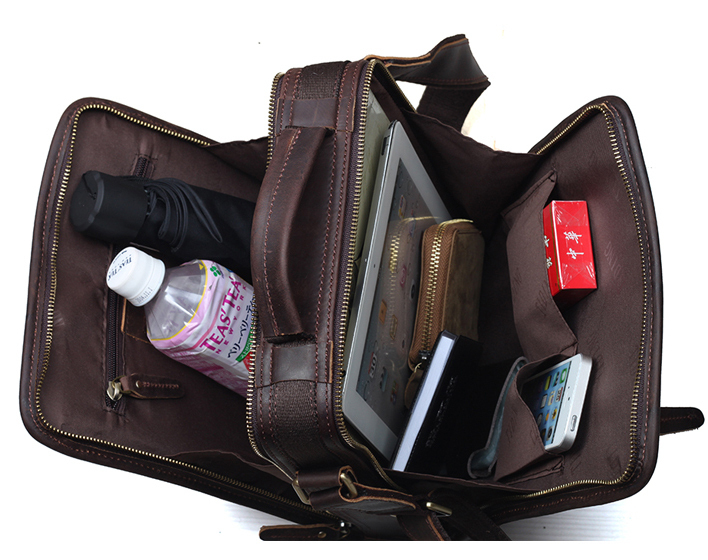 An impeccable bag having a number of anti-theft features, this bag has an additional USB charging port also. What more can a travel-loving man ask for? Who travels today without electronic devices like the camera, laptop, phone, etc.? 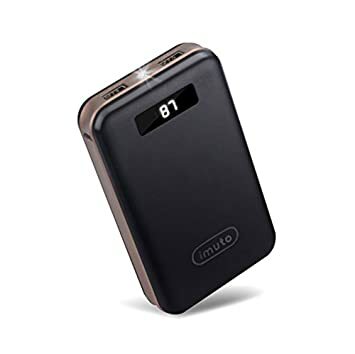 But one thing that is most putting off when you travel, is the unavailability of comfortable charging points, which makes these electronic devices nothing more than extra weight that you carry. Make sure this never happens to your bae by gifting him the iMuto portable charger which has an extraordinary 20000mah battery power. Plus, it is lightweight and compact, making it ideal for travel. As you head on your next romantic getaway, remind your better half of the love that you feel towards her through music. These earphone splitters are all about love untangled. Gift this to her on the coming Valentine’s Day and experience the love back. If you rejoice the travel bug in her, show her, by gifting this exceptional travel necklace. This chain would be her personal reminder of travels she wants to embark upon. When it comes to women what better would be a gift than the combination of travel and jewelry. If you wish her to jot down each of those precious moments on paper right at the very moment, as a memoir, as an adventure and as a reminder, gift her Instax Camera from Fujifilm. This will not only help her capture the moment, it will help her capture the emotion too, whichever end of the world she may be in. The perfect addition to any travel uniform, the heart shaped bag is something that she will adore you for. It’s super cute and has been sported by a number of celebrities, making it even more alluring. The Valentina red lipstick bag will help her keep her essentials close. Travel has a new form and it definitely smells good. Pamper her with the Diptyque Eau Rose Roll-on fragrance, this Valentine ’s Day. A rose is the eternal symbol of love and when it comes to fragrance as irresistible as this, it is bound to make an impact on her. Surprise your loved one by proposing to them with this unique ring. We are sure that they are going to love this one more than any normal design that you buy from a jewelry store. If you believe your significant other loves to wear specific metal, you can get this engraved at a lot of places which has an option for customized rings. Everything said and done, it’s the personalized gifts that rule the day. Be sure to make your partner feel loved and pampered this valentine’s, through the above-listed gifts or something that suits him/her the best. Do share your suggestions and experiences with us in the comments section below.